HTC’s making some sweeping changes to their marketing lately with a new announcement that they are dropping the “Quietly Brilliant” tagline in future product ads. “We have a lot of innovations but we haven’t been loud enough,” said Mr. Ho, a Singaporean who is HTC’s third marketing chief in less than two years. The new approach, he says, will be bolder. HTC’s new marketing effort is just part of their effort to reassure both investors and customers that its turning things around. Mr. Ho stated that along with changes to the company’s tagline, the digital marketing budget will increase by 250% in 2013 compared to 2012 and a 100% increase in traditional media marketing spending compared to last year. HTC will begin its “bolder strategy” with a new marketing campaign for the HTC One with themes like “bold,” “authentic,” and “playful.” Ho says “bold” will demonstrate that HTC wants to be more aggressive in their marketing speak. “Authentic” will reinforce focus on HTC’s innovation and “playful” will highlight new features that are based on consumer demand. Ho stepped outside of the marketing conversation by confirming the delay of the HTC One is due to camera supply shortages. HTC is clearly going to step up its marketing efforts in light of delays causing the One to launch at a similar timeframe as the Galaxy S 4, its main Android competitor for 2013. Wish we knew if we will at least get a shipment of the HTC One in the US, even with the delays. I mean they must have some ready for us right? Let us have it and release more later, only a few weeks part anyhow! That’s a horrible idea. Just ask all the people still waiting for their Nexus 4. Not true. It still goes on a wait in some countries even know. That’s besides the point, though. Releasing a device in limited quantities with the possibility of not being able to meet the demand leaves a bad taste in people’s mouths. Why would they even announce this phone without knowing that production is ready and capable of withstanding demand? Another shortsighted venture by HTC. I know right???? This never happens to Apple, or LG for that matter. Diversionary tactics won’t work this time. People want the goods not another let down. I wish Htc well but their behavior this year is a reflection of what done when you know you’re on your way out. Last gasp attempt for attention and loud roars but no results. Less talking and more product is all that matters. At the end of the day it’s the consumer who will decide what’s best by purchasing said device. Agreed! I dont care about your marketing campaign….Release the phone in the US! I’m confused though. They already made a great device, their only issue is it’s not releasing as fast as it should (or in better words: needs to be). But besides that, this is nothing but great for HTC. 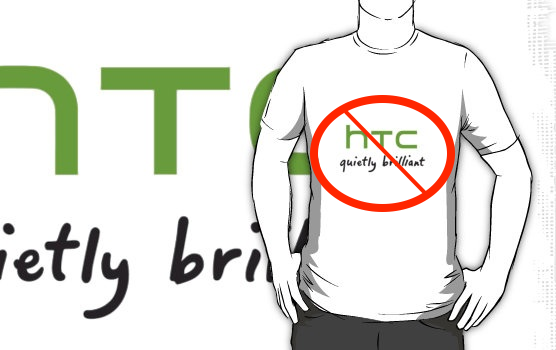 People have already commented about HTC’s lack of marketing. So having a great device as the HTC One is, with increased budgeting for marketing is a great thing. We can’t say that if they didn’t increase budget for a marketing campaign, that it would help them either. So, I still see this at least a little help for HTC. Not everyone is like us on this site. A lot of people don’t know about these devices unless they’re on the internet, most people are Average Joe’s & Gals. I agree with this move. HTC stopped being quiet or brilliant a while ago. Agreed..like i and many have said b4, WHY DON”T HTC MAKE A PURE VANILLA ANDROID device or at least one that dual boots both vanilla Android and Android w/sense UI. HTC should of just went with a good 8-13 megapixel camera like the iphone’s or nokia’s. They didn’t need an ultrapixel camera to delay their flagship. You all need to relax and let them do it right. HTC is a good company and put one of the best phones on the market. I don’t mind waiting a little while longer for thus phone. HTC: We Think We Got It Right This Time. No, they didn’t get it right. They still have no SD card expansion, no removable battery to deal with HTC’s historical pathetic battery life, and they continue to alienate the previous core nerd fanboys who like the unlocked / s-off bootloader. HTC is done. Nothing to see here folks, move along, move along. Expandable memory? I don’t need it. Removable battery? Don’t need it since the One gets good battery life. Boot loader? That’ll come with time. In getting it over any other phone. Wish they would’ve decided to go with an 8 Ultrapixel cam OR if the shortage of the current Ultrapixel cam will slow down production to the point of threatening their goal…then i say slap on a Sony 13MP cam or one comparable and lets get rolling.